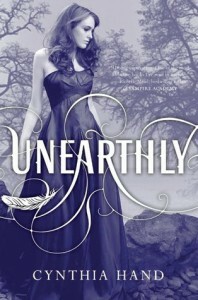 I must say, I really enjoyed Unearthly. It’s a nice twist on all too familiar plot of paranormal romance, and even when we take the supernatural aspect out, we are still left with good read, as book’s dynamics don’t rely solely on paranormal aspect. Clara’s struggle to fit in a new place, make friends, and win a boy she wants, is well written and enjoyable. This book covers many aspects of teens life that usually get neglected. Lately in YA fiction it seems you can only have friends from your own group of society. Or group of friends is a mixture of ultra rich and quite poor people, but it makes no difference whatsoever. 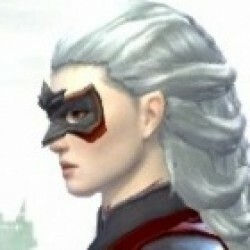 In Unearthly, this causes some tension, although is not a source of serious conflict. I liked how Clara was thoughtful enough about Wendy’s financial status when planning shopping trip. Additional star for Clara being the active side in a relationship. While it’s not as easy as classical way, it gives important message and, frankly, I’m sick of damsels waiting for a prince to show up. When Wendy asked a boy she liked to prom, I almost cheered. I will definitely get the second volume.